Students learn to read music and begin to learn fingerings/positions on instruments. Flute, Clarinet, Trumpet, Trombone, Alto Saxophone, Tenor Saxophone, Baritone. We use a series of books from The Standard of Excellence by Bruce Pearson and encourage exploration and creativity. 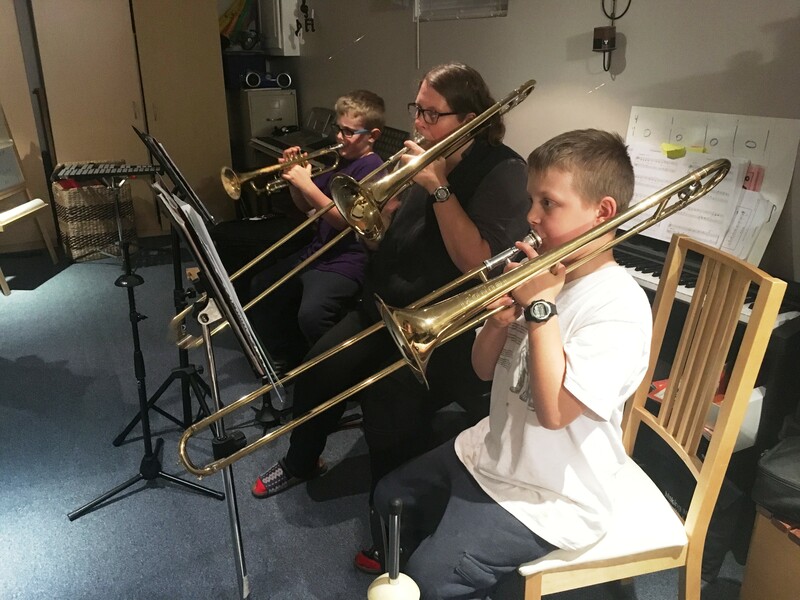 Some of our students also play in community youth concert bands and orchestras. Students are required to have an instrument at home to practice on. Instruments may be rented or rented to own at various music stores. To sign up contact lisa@lmjmusic.com Please include the instrument you want to learn, age of student, previous experience and preferred lesson days and times. All students have the opportunity to participate in sharing music and performing for each other in community Recitals.